Digital literacy should focus not only on the instrumental domain of digital technologies but also on knowing what to do with them in order to facilitate fully participation in the digital society. Given the large amount of false information circulating through information channels, it is very important to promote critical thinking skills as a form of digital literacy. One of the topics that I find most relevant in education is digital literacy to foster critical thinking and to distinguish between truth and lies. If we were part of a society where its citizens swallowed lies as if they were truths, life would be really painful. Maybe we are heading to such scenario. There have always been truth and lies in traditional media (press, radio, TV). Internet has lots of information streams and channels where we consume information, react to it, make comments, share, and make it viral. It also seems necessary to know what is true and what is not. We can find recent examples of this. From simple and innocent hoaxes, spamming, clickbaiting, to “news” that foster unhealthy habits, and the change of political views that can make one political party win and influence the way a country takes (start a war, increase/decrease taxes, etcetera). Sketch of Monty Pyhton’s Flying Circus, 1970. 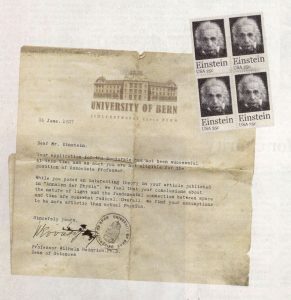 There are funny hoaxes such as the one of the rejection of Albert Einstein’s application as an associate professor at the”University of Bern”. This letter was identified as a forgery by the same university. There are many clues that indicate it is a fabrication. But this is just a funny little white lie. Unfortunately, there are a lot of evil examples that have negatively influenced elections at different levels. The list is too long. ¿what would have happened if citizens had more critical thinking skills? ¿Did we we have these skills yet? We will never find out, but what we do know is that everything would have been more fair. These lies are now called post-truth, alternative facts and fake news. The first concept was the word of year 2016 according to Oxford dictionaries, and it is defined not as a noun (although used as such) but as an adjective (i.e: post-truth politics). It has to do with emotional aspects and personal beliefs, to make us more gullible. Sometimes lies are orchestrated by governments or media, directly or not. According to Carey (2007), sociologists of the School of Chicago (Mead, Cooley, Park, Goffman, etc), desdendants of Dewey, first, there is a truth with objects, events and processes that can be observed. 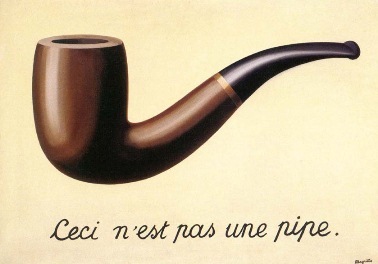 Second, there is a language or symbols that name them and create descriptions of the real world. On the one hand, there is reality and, on the other, our communication of it. Thus, reality is not independent of communication of reality itself. It is produced by communication and by language. And if lies do exist, then there is a ground for intoxication and mirage. Contradiction between the two communication modes. ¿what should we think it is? Another related problem are filter bubbles that select the information we receive through networks, filtered according to our priorities and political preference. Different algorithms supply us with information that is lacking pluralism and is clearly biased. This issue appeared on Obama’s farewell speech: the promotion of groups and communities trapped inside their molded ideologies based on opinions and not facts. Facebook tried to stop these fake news. We also have fact checking sites such as factcheck.org or Snopes.com but these are of no use outside North-America. What about the rest of the world? We are late! Apart from AI solutions that help us get reliable information, the best available filter are critical thinking skills. Vint Cerf, one of the fathers of the Internet, said that “his biggest concern is to equip the online netizen with tools to protect himself or herself, to detect attempts to attack or otherwise harm someone”. Digital literacy should not focus exclusively on software skills but promote critical thinking skills to know what is truth and what is lie. Bryan Alexander said in one of his blogposts that “There is a shared understanding that digital literacy involves a mixture of technical, social, and personal capacities. And there is a rising awareness that digital literacy means learners are social, participatory makers. (…)”. We (and our learners) are not just consumers of information anymore but actors that contribute to the increasing flow of (fake or not) information and knowledge. Our relationship with information has changed. Howard Rheingold wrote in 2009 the post “Crap Detection 101”. He proposed methods to assess credibility in what we find on the web though triangulation processes (that many credible sources can certify what is being claimed). Also, by asking questions such as: Who is the author? Which is the domain? How is the web designed? Does it have ads? Are the sources known and traceable? etcetera. Here we could add information contrasting skills that use boolean and advanced search options in web browsers. Google’s reverse image search can be very useful to unmask lies. These basic actions should be learnt for the sake of truth. We are facing an issue that we have to seriously address as educators. This means it should be included it in the curriculum (in primary education, initiatives like this can help students increase their awareness of fake news and fake messages such as this one perpetrated by a minister of a democratic state of the European Union). And we have to adress this in secondary education, higher education, adult education, in formal, non-formal and informal education.